This entry was posted in Lake Map, Sediment and tagged Bathymetric Map, dredge bid, dredge costs, dredge pricing, Dredging, Engineer Bathymetry, Engineer Lake Map, Fishing, GIS, GPS, GPS Lake, GPS Map, Habitat, Hunting Land, Hunting Property, hydrographic survey, lake, lake dredge, Lake Management, Lake Map, Lake Mapping, Lake Survey, map, Sediment, Sedimentation, smith mountain lake, smith mountain lake bathymetry, smith mountain lake map, Survey, The Mapping Network, Virgina Lake Management, Washington Lake on April 19, 2013 by Moderator. This entry was posted in Lake Map, Sediment and tagged Bathymetric Map, dredge bid, dredge costs, dredge pricing, Dredging, Engineer Bathymetry, Engineer Lake Map, Fishing, GIS, GPS, GPS Lake, GPS Map, Habitat, Hunting Land, Hunting Property, hydrographic survey, lake, lake dredge, Lake Management, Lake Map, Lake Mapping, Lake Survey, map, Sediment, Sedimentation, smith mountain lake, smith mountain lake bathymetry, smith mountain lake map, Survey, The Mapping Network, Virgina Lake Management, Washington Lake on March 5, 2013 by Moderator. If you live in a community governed by a Homeowners Association (HOA), or you are a community manager tasked with managing an HOA, I am sure you are familiar with the statutory requirements placed on you to maintain budget reserves and to complete formal Reserve Studies for your community in most states every 3-5 years. So many important issues are addressed by these studies, all of which help to prepare communities for significant future repair and replacement expenses. In most cases, the Reserve Specialist preparing the report is able to identify very accurate estimates for the expected life of the community assets, and the corresponding specific costs for making significant repairs or replacing those assets as their expected life comes to an end. As valuable as these studies are for communities, we find they are typically missing one key piece of information that will, in many cases, affect the accurate planning and budgeting for the single most expensive expenditure a community will ever face…DREDGING. All communities have stormwater management facilities incorporated into their overall development designs. 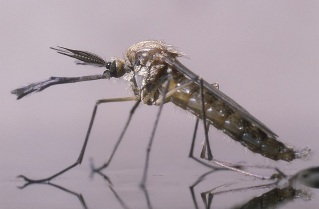 In many cases, these BMPs take the form of ponds or lakes. These stormwater ponds and lakes are designed to collect all stormwater flowing in from the community’s impervious surfaces such as roofs, sidewalks, driveways, and streets. In doing so, all of the sediment, grass clippings, leaves, fertilizer, other organic matter, and pollutants contained in this stormwater will settle to the bottom of the pond in between rain events so that the next time it rains, clean water flows out of the outflow as new contaminated water comes in through the inflows. This is good news for our streams, rivers, bays, and oceans, as these ponds and lakes filter runoff water and make sure that only clean water is discharged into our natural waterways. However, if these stormwater ponds and lakes are left unmanaged, what is a dream for Mother Nature can be a nightmare for the community. The biggest of these nightmares comes when a community realizes their pond or lake has enough accumulated sediment and organic matter that it needs to be dredged in order to continue to function properly and as designed. Although Reserve Studies will typically address the potential need for dredging, and maybe even go so far as to give you some data on the typical life expectancy of the BMPs and cost to dredge them, these are rarely accurate or specific to your particular site. These numbers are averages, and mostly educated guesses, as the information required for Reserve Specialists to be able to provide you detailed and up-to-date accurate assessments and costs for dredging are not available to anyone without bathymetry having been performed. As you might imagine, every pond or lake is different, and the demands put on these BMPs vary based on the size of the overall watershed, climate and weather conditions, landscaping and fertilization practices, level of ongoing annual lake and pond management activities, etc. 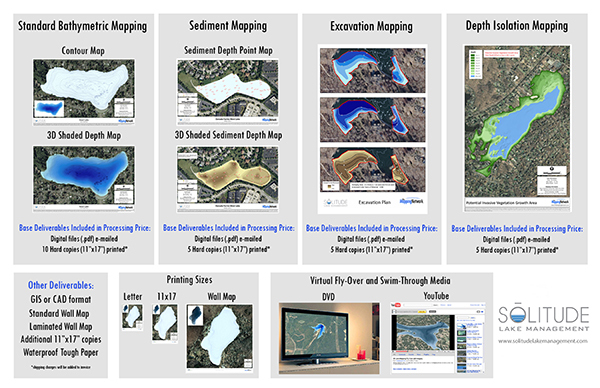 If you want to accurately evaluate the current sediment accumulation in your lake or pond, and project forward to when it will need to be dredged, and how much it will cost to do so, there is only one choice…BATHYMETRY. 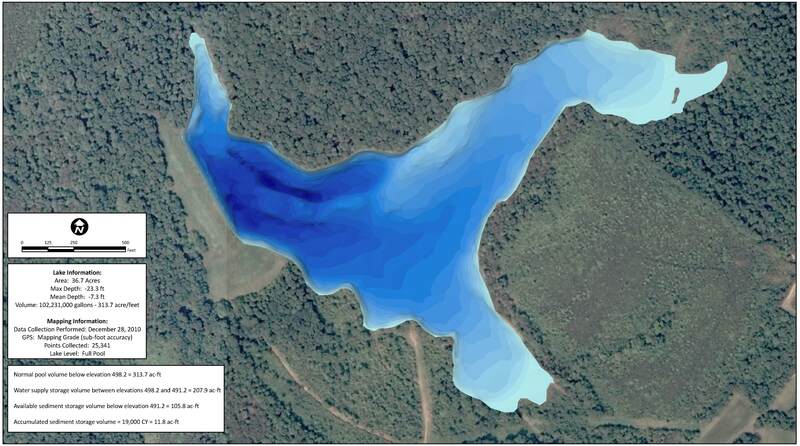 Bathymetry is the process whereby the surface of the lake or pond is plotted using GPS technology, and each of the GPS points recorded is correlated to the corresponding depth of the lake or pond at that specific point. After collecting thousands of surface points with their associated depths, a three dimensional model of the bottom of the lake can be developed. 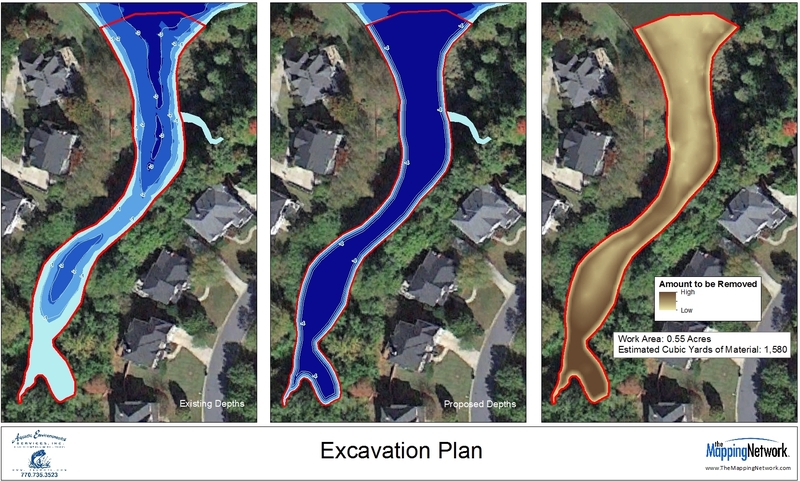 With this information, the current maximum storage capacity (volume of water) of the pond can be quantified, and compared to original design plans to determine how much of the original storage capacity has been displaced by the accumulation of sediment and organic matter at the bottom of the pond. Once this information is known, it is very easy to get specific cost estimates for dredging, as you will know the exact amount of material that needs to be removed. If you find that dredging is not needed now, which is what everyone hopes, you will then be able to use the bathymetric data to plan for future dredging. Also, now that you know the current amount of sediment accumulation, and you know how old the lake or pond is based on original construction plans, you can figure out the annual sedimentation rate from the time the lake or pond was originally constructed to now and then project that rate forward to compute how many years from now dredging will in fact be required. 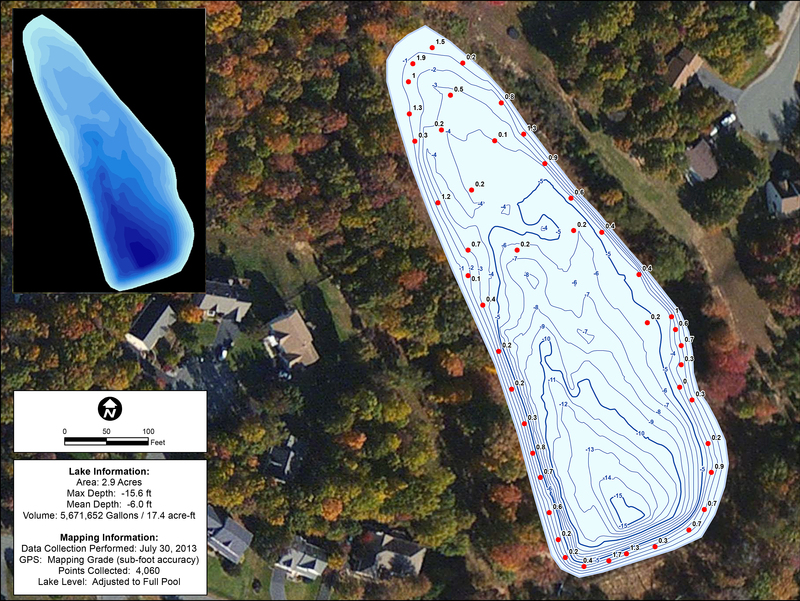 Bathymetry provides community managers and boards with powerful information with which to manage their stormwater lakes and ponds, and most importantly, provides them with the tool they need to quantify and plan for what will in many cases be the single most costly expense the community will ever face. 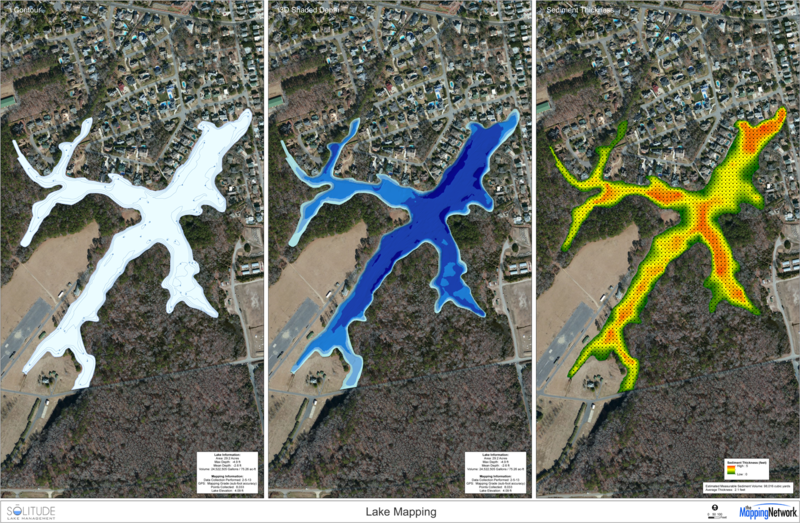 No budget or replacement reserve planning is ever complete for those communities with lakes or ponds if they do not perform bathymetry on a periodic basis. This entry was posted in Lake Map, Sediment and tagged Bathymetric Map, dredge bid, dredge costs, dredge pricing, Dredging, Engineer Bathymetry, Engineer Lake Map, Fishing, GIS, GPS, GPS Lake, GPS Map, Habitat, Hunting Land, Hunting Property, hydrographic survey, lake, lake dredge, Lake Management, Lake Map, Lake Mapping, Lake Survey, map, Sediment, Sedimentation, smith mountain lake, smith mountain lake bathymetry, smith mountain lake map, Survey, The Mapping Network, Virgina Lake Management, Washington Lake on January 9, 2013 by Moderator.